My name is Scotty Jay and I am a local Ocala musician. We live in an area known as ''Ocala Ridge'' and the area is undeveloped, with sand roads and blackberry briar patches surrounding us. Well, despite the unfriendly condition of the soil, I have planted a garden of various vegetables. I had been hearing a faint singing voice as I dug in the dirt and watered at dusk. Well I was on my hands and knees one evening, planting corn, when I felt someone brushing the dirt from my back. I thought it was my female friend so I turned to look and there was nobody there. Well, I was a little freaked out as well as intrigued. 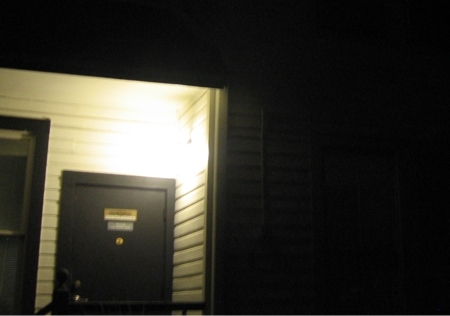 Well, I began taking photos of my progress and captured an orb. 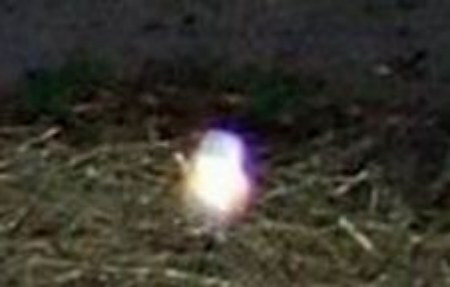 Well I've seen orbs and I've heard them explained away as dust, water spots, etc, so I blew it off.